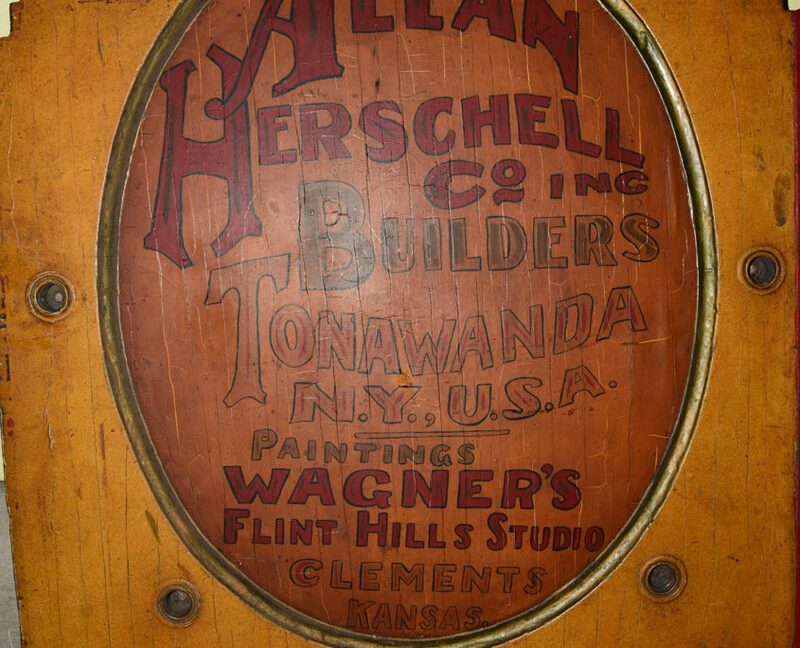 Our carousel is a circa 1920 Allan Herschell machine, created in North Tonawanda, New York. 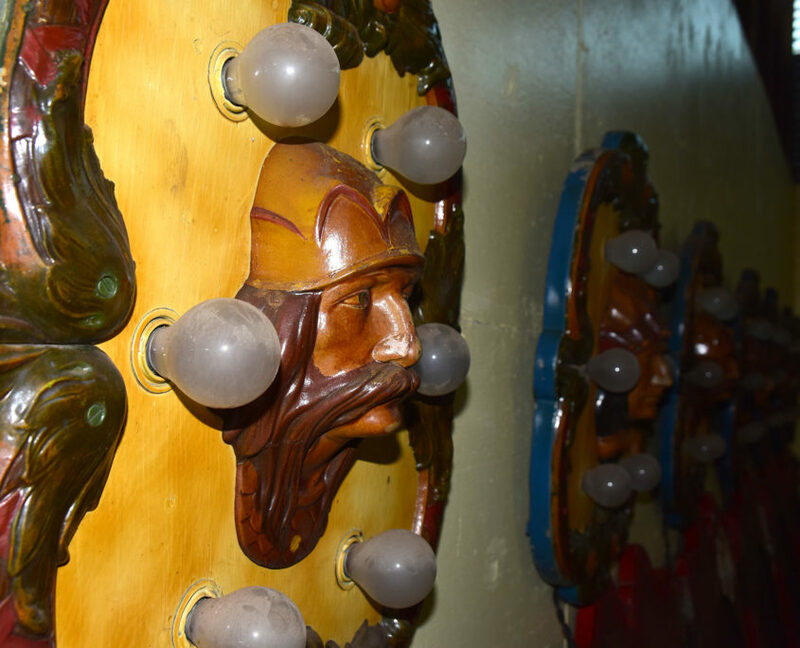 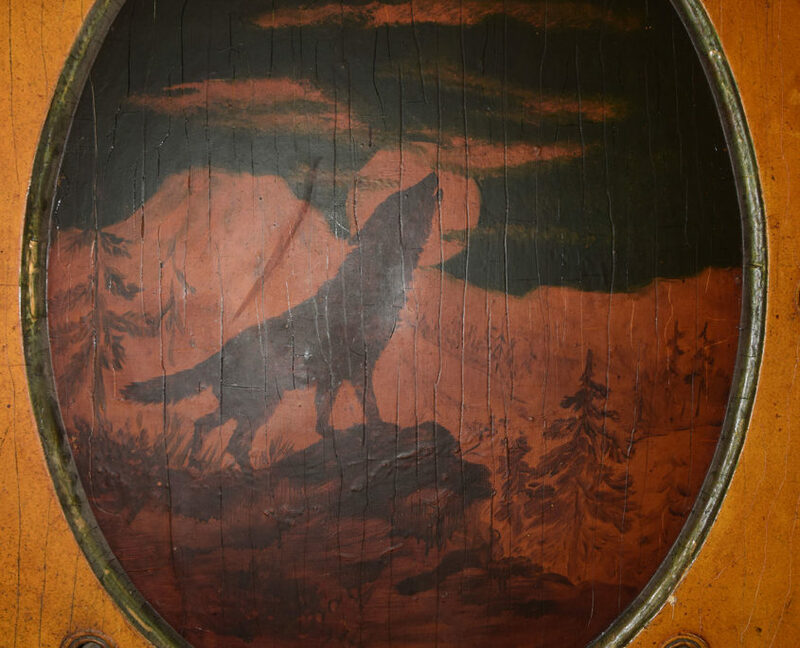 Carved in the County Fair Style that Herschell was known for, this carousel is an intact original example of one of his larger, more elaborate traveling machines. 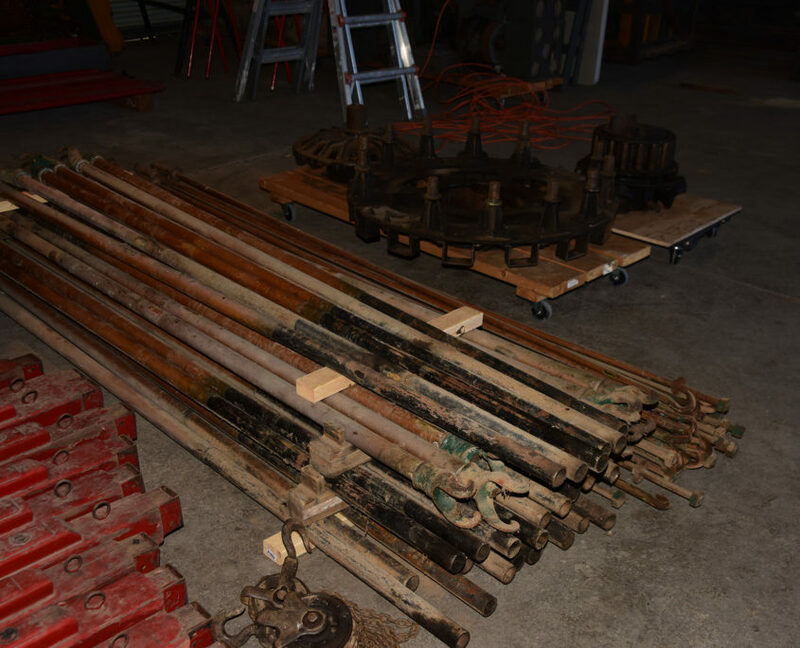 The carousel is a 14 sweep, three row, 40-foot diameter machine. 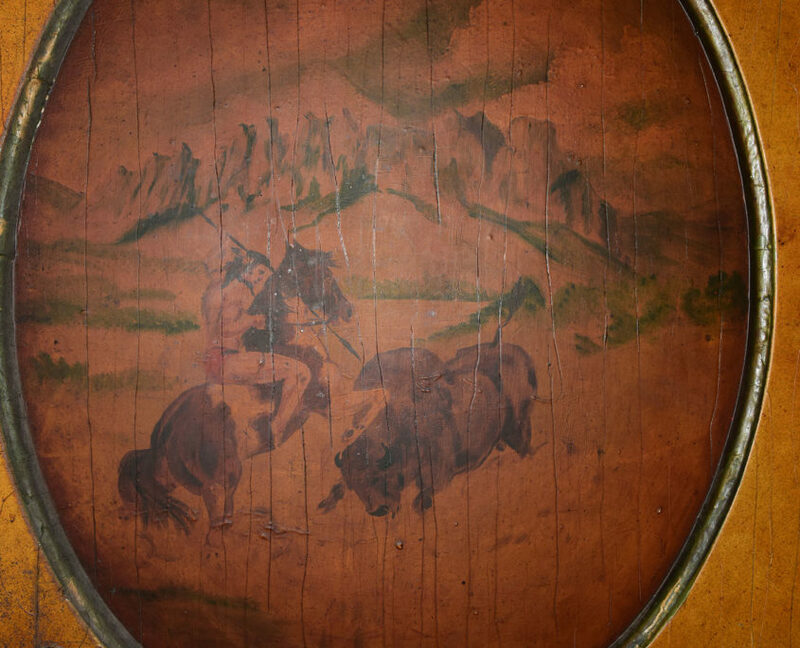 It has 36 horses and two carved chariots. 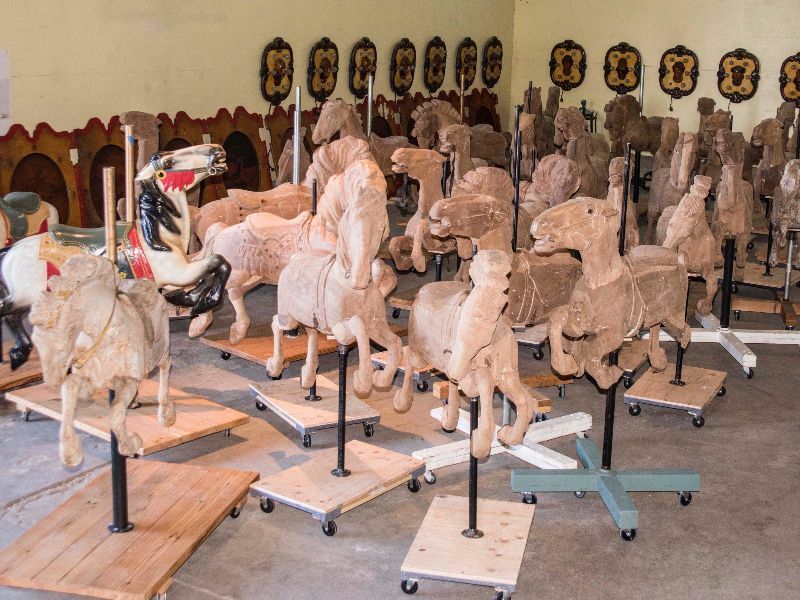 The horses have all been stripped of their park paint, with two of them repainted. 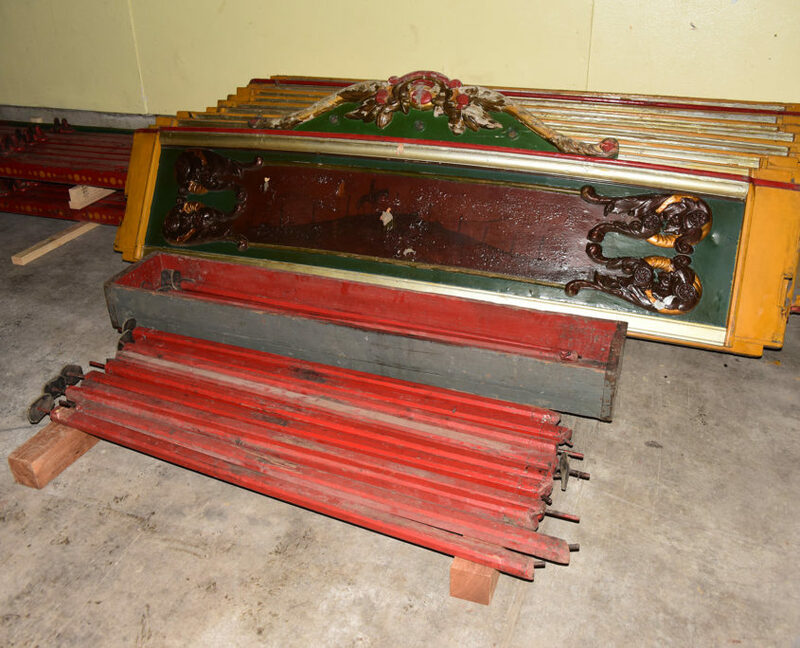 There is also a ticket booth and canvas top, as well as the mechanisms and supporting structure, plus a collection of working vintage light bulbs. 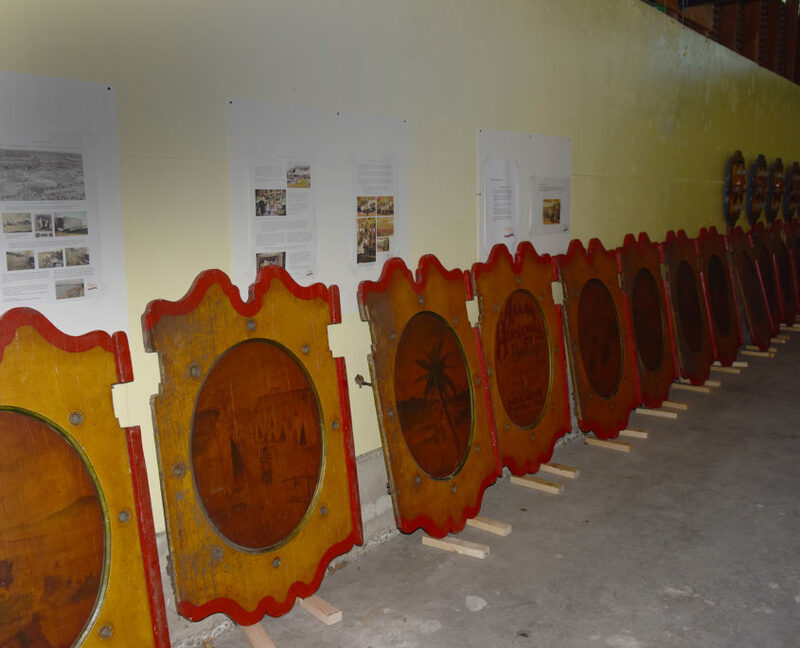 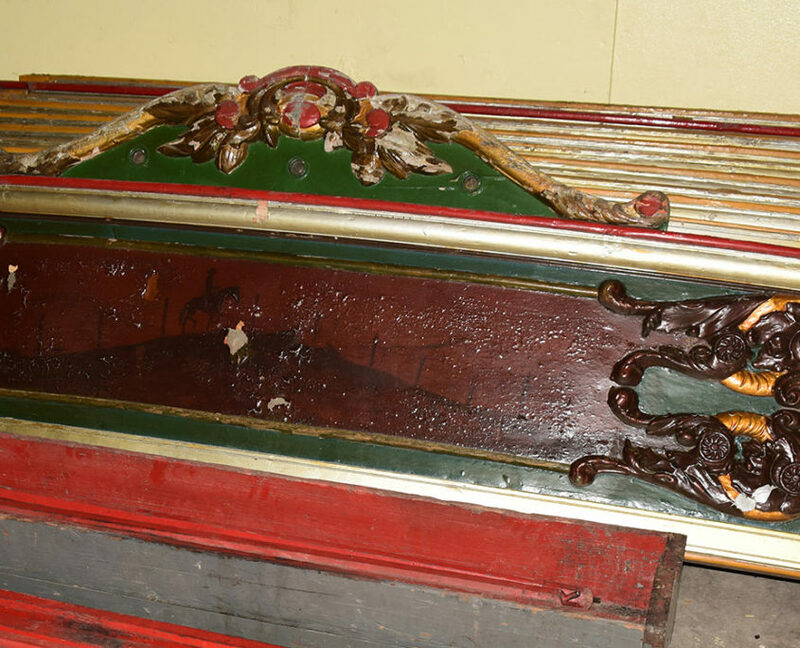 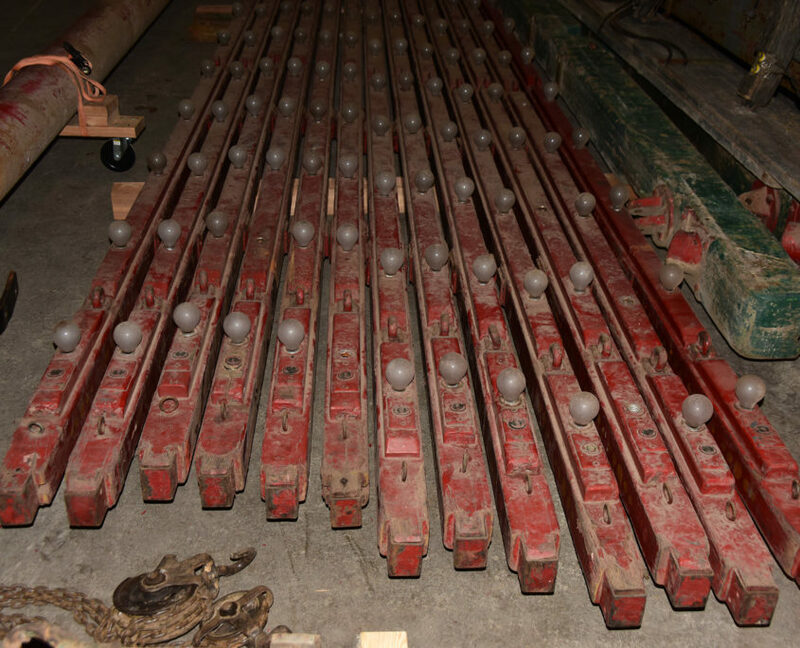 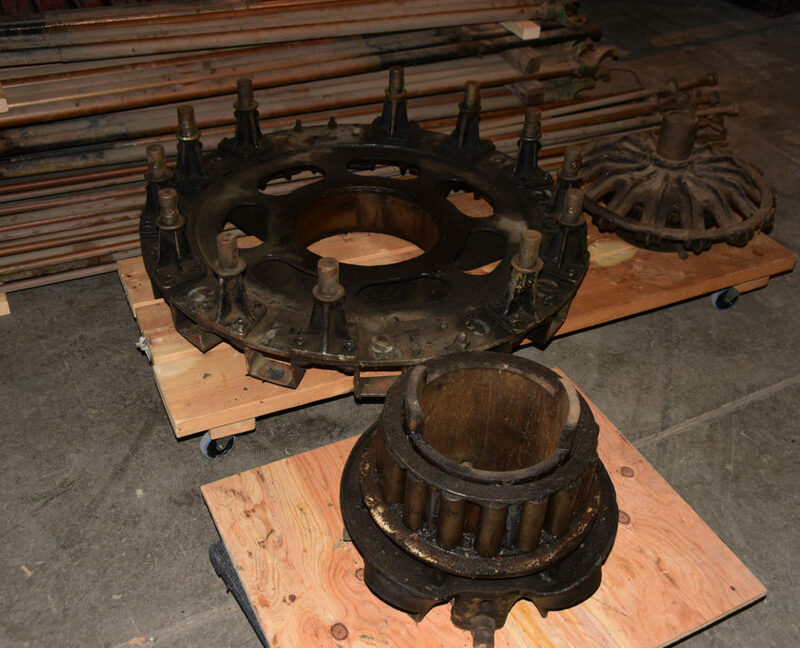 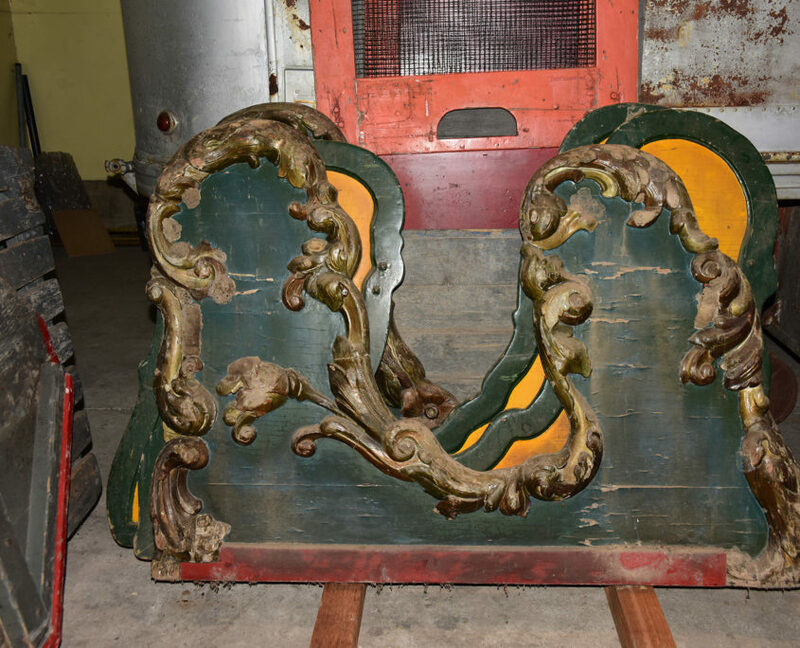 Browse through a collection of photos showing the mechanics, art panels, and other parts & pieces of the carousel, pre-restoration.